With the internet so accessible it’s important that young people can ‘surf the net’ safely. With that in mind, we’ve put together a handful of the best sites that have content suitable both for young people and for their teachers, parents or carers. 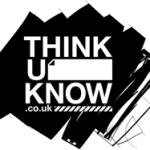 The Think U Know website is well worth taking a look at, with separate sections for children aged 5-7, 8-10, 11-16 year olds. Another website of interest is Childnet’s Kid Smart, where young people can play games and test their internet safety knowledge. Parents and carers can also find all sorts of useful resources too.